There just wasn't enough naked Daniel Henney going around in "Three Rivers" to keep it afloat. 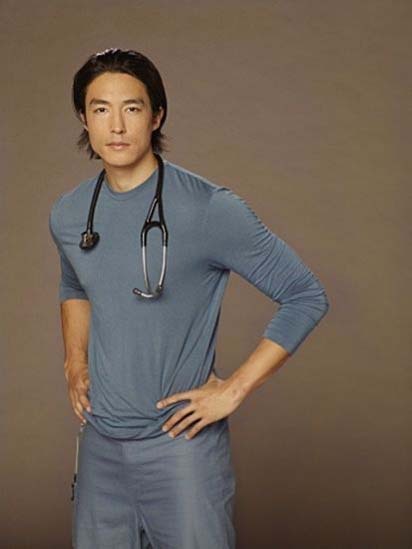 I mean yes - he needs to have lines - and he's good at saying those lines - in fact - he's a great actor with star charisma who has a long career ahead of him in both television and film - but c'mon - if you want a medical drama to succeed - on CBS no doubt - you need more naked Daniel Henney. In fact, I think if they just would have titled the show "Naked Daniel Henney Swims Down Three Rivers" aka "A River Runs Through A Naked Daniel Henney" with a 75/25 ratio of naked to non-naked Daniel Henney (because plot is important) the show would still be around. More naked Daniel Henney = not getting it cancelled. And you may want to make him the lead versus the White Guy.